You’ve closed on an ideal piece of property and soon you will be ready to begin building. Financing is in place and the only thing keeping you from moving ahead is choosing between three similar, but very different home styles. A two-floor colonial is what you have in mind, but settling on an agreeable layout has you and your spouse squabbling over just where the various rooms will be located, their size, and how many. So what is the solution? Is it marriage counseling? No, save that for later — you need to get a hold of a home construction specification plan, not a counselor. By following a step-by-step home building plan, you can design the home that you both want, save yourself some money, and ensure marital harmony. First Step: Obtain a specification planning sheet. Use this form — segmented by room, by area — to note your building specifications. Second Step: Link to various home construction spec plans which will provide detailed information for your home construction with links to home product ideas and trends. Third Step: take a completed draft of your specification sheet to your architect or planner. They will customize a floor plan or revise an existing plan that meets your specs. Visit SearchHousePlans.com for house plans. Fourth Step: use your specification sheet and house plans to bid the construction project to contractors. Keep in mind that building permits must be obtained and you should find out just how local building codes will impact your project. 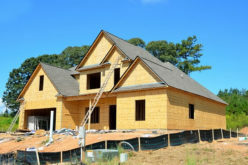 Your builder will make sure that your home building plans conform with all local ordinances and obtain the permits necessary to begin home construction. Put the home building squabble behind you today by downloading your home construction specs today. Whoever said that home building and marital harmony don’t go together?